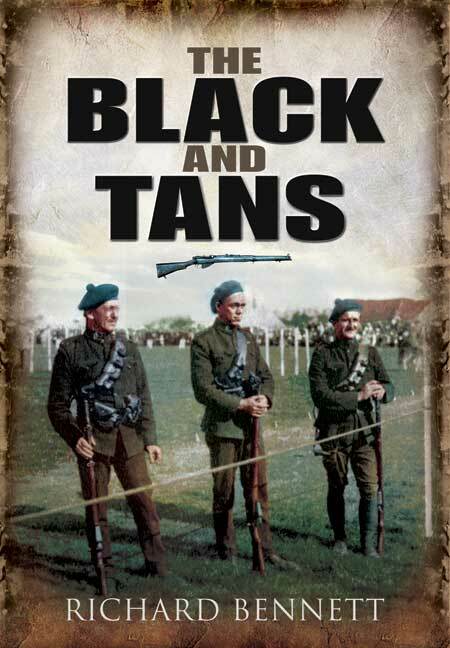 You'll be £11.99 closer to your next £10.00 credit when you purchase The Black and Tans. What's this? They could arrest and imprison anyone at any time. They murdered civilians. They wore a strange mixture of dark green tunics, khaki rousers, black belts and odd headgear, including civilian felt hats. The Irish named them after a famous pack of wild dogs on County Limerick – The Black and Tans. This book covers, very effectively, a period of Anglo-Irish history that most Englishmen would like to forget and which proves the one fact about Ireland that is unarguable - that no one not born and bred in that country will ever really understand the ancestral memories and passionate desires that motivate its people. FOCUSING on the men employed by the Royal Irish Constabulary from 1920 to 1921 to suppress revolution, this is an extremely good book for anyone wishing to read about the period of terror that gripped Ireland just prior to its independence from Great Britain. The hatred, not just toward the enemy but within their own factions, of these British personnel – named after a famous pack of wild dogs in County Limerick – caused plenty of blood to be spilled. The Black and Tans was written just ten years before the restart of the Troubles in 1969 but the events described could, quite easily, have happened during Op Banner. 'The Black and Tans' refers to a small group of British forces in 1920s Ireland, so called after a famous pack of wild dogs in County Limerick. The group were given this moniker on account of their toughness and more chillingly (considering their role was supposedly a policing one) their seemingly lawless actions which included the arrest and imprisonment of anyone at any time, not to mention the murder of civilians. Richard Bennett's authoritative account of this notorious group's actions during such a dark period of Anglo-Irish history is cold yet informative, and really serves to highlight the spawn of such troubles which are sadly still ongoing today. The book covers many events and people now famous in Irish history; indeed many readers will be surprised at the short space of time in which all of this took place. From the rise of Sinn Fein and the I.R.A., Michael Collins and the Bloody Sunday massacres, these events and the political status of the country as a whole are told by Bennett in a clear and accurate way, a source of credibility perhaps to a time which may have given some, through newspaper reporting and subsequent films, a dramatized view. What we get here is a chronological account of this key period in history, and as the title suggests, the intrinsic focus is really on the actions of the occupying British forces and subsequent retaliation of Collins' I.R.A. which grows, like a darkening cloud through the book, to the explosive events of Bloody Sunday and the Burning of Cork. This is certainly a definitive read for anyone with an interest in Anglo-Irish history, and events which still hold relevance today in what is still a delicate political situation.